Please find all my other Glamm box reviews here. Today I received my first shipment of Mirenesse Glamm Boxes. Each box retails for $15 dollars with a value of up to $60 each. You will receive between 3-5 items. As well as the Glamm Boxes, depending on how much you spend entitles you to up to 3 free gifts, choices are limited to 4 products. Because I purchased the 3 boxes and a VIP membership I received two full sized gifts. That's a total value of $69.90 in free gifts!! I also subscribed to their VIP programm which costs $25 dollars a month. The benefits of this subscription are 6 free bi-monthly beauty boxes, a $25 dollar voucher off each month for purchases over $65, Free Shipping and up to 80% discounts everyday. For every dollar you spend you receive 10 loyalty points which can be redeemed for Beauty Vouchers which you can use against subsequent orders. For example if you spend $45 you will receive 450 beauty points which equates to $4.50, these points are accumulative. You don't have to be a VIP member to purchase these boxes but you will have to pay for postage. Also you can have them auto-shipped every 30, 60, 90 or 120 days. What I really like about Mirenesse IS they are an Australian Made and Owned company who source all their ingredient from Australian Organics & Minerals. All their products are free from Synthetic Fragrance, Mineral Oil, Alcohol, SLS, PG, Sulphate, Petrolatum and are Hypoallergenic. They also make some REALLY good cosmetics and skincare products. I am a big fan of their lipglosses. OK I had so much fun opening all my goodies today it was like Christmas come early. SKINCARE BOX - I received 4 products. You don't get to profile what your skin type is which I would have preferred but I was lucky enough to receive three anti-age products I would be interested in trying. I don't get blemishes but this gel smells divine, Lavender and Peppermint essential oils, so I will be giving it a go, it is not something I would normally purchase though. MAKEUP BOX - I received 5 products. With the makeup and mixed boxes you can choose which skin shade you would prefer to receive. The Orchid Sparkle Lip Gloss appears clear on me. As with all Mirenesse lip glosses, they apply well, are non-sticky, moisturising and long lasting. 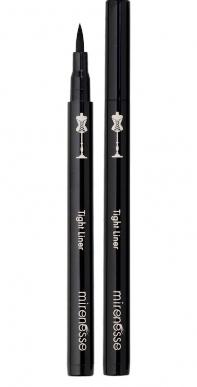 The 24hr Eyeliner comes beautifully packaged and contains real diamonds in the ingredients, the reviews on Mirenesse's website are very positive and they all say that this eyeliner lasts. MIXED BOX - With this box you receive a mix of skincare and makeup. I received 5 products. Looking forward to trying all these products. The Honey Bunny lipgloss appears clear on me but with lots of red/pink glitter, totally non-sticky, has a slight sandy texture from the glitter and a citrus flavour. Overall I am really happy with these boxes. Every item was different, no repeats in any of the boxes and I did not receive one product that I can't use. I am really impressed. I received 3 boxes valued at $257.45 and free gifts valued at $69.90 for a total of $327.45. All I paid was $45 and free postage. You just can't beat that for value. All the samples are of a good size so I can trial each product thoroughly and purchase the full size if I like them. Everything about this company is first class, from the packaging, presentation, the quality of their products and their superfast customer service. This is a company that really knows how to get it right.